For a successful skiing holiday, rent the accommodation to La Norma which is situated in the mountains Northern Alps, Savoie. This skiing resort is well known for its beautiful surroundings and breathtaking landscape. Booking to La Norma is easy and convenient and can be done either by phone or via our website. Each accommodation shown online is available for rent, just select the date and start date of your holiday at to La Norma to find out the cost. Don't hesitate, now is the time to ski ! The 3-star residence with a lift, Le Plein Soleil, La Norma, Alps, France is situated in Avrieux at the altitude of 1150m. 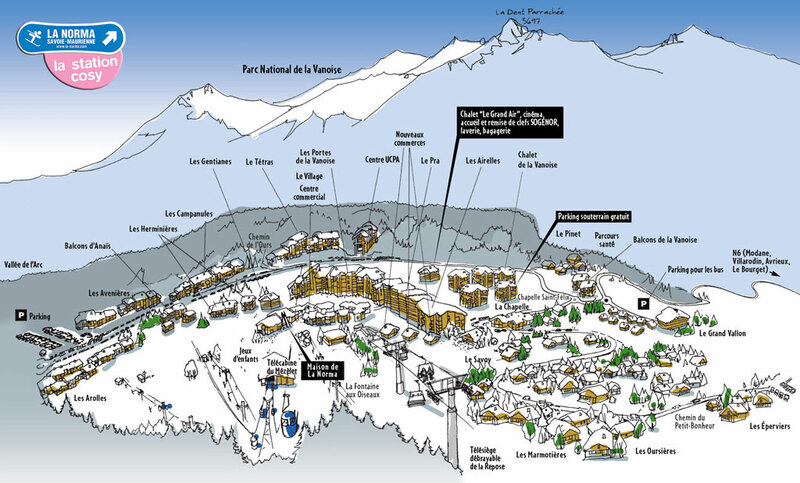 It is a mountain village located in the heart of the ski resort of La Haute Maurienne in Savoie. 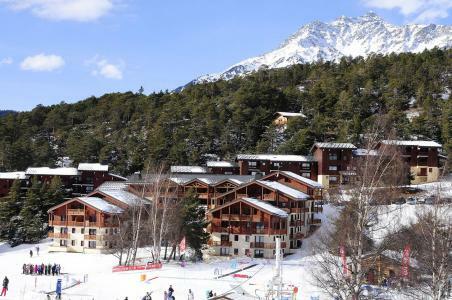 Different ski resorts are close to the residence: La Norma and Aussois (5 minutes), Valfrejus (15 minutes), and also close to the largest skiing area of the world, Les 3 Vallees, which accessible via the Orelle cable car (20 minutes by car). 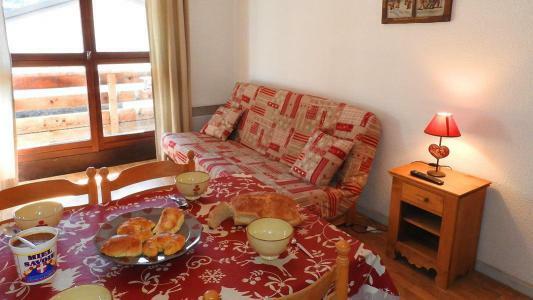 The residence Le Plein Soleil, La Norma, Alps, France offers new, spacious and fully equipped apartments, from 3 people studios to 3 room accommodation (for 8 to 10 people). Direct access to the resorts of La Norma and Aussois is available via private shuttle (with extra charge). Additionally, transfer service from the train station of Modane (with an extra charge of 35€ two way trip). Activities on offer close by include: skiing, snowshoeing, dog sledding, sledding, etc.... climbing, via ferrata and paragliding 5 minutes away. The residence Les Chalets et Balcons de la Vanoise (with lift) offers authentic architecture and is spread over 6 floors. 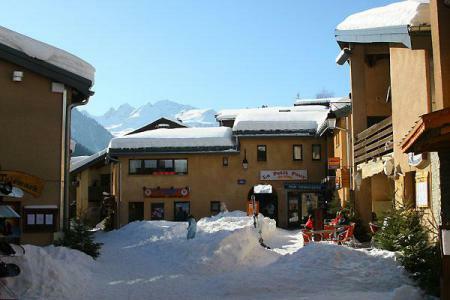 It is conveniently situated at the entrance of the commercial part of La Norma ski resort in Alpes du Nord and close to the ski lifts (300m away from the pistes). Facilities available in this residence include: a free indoor car park. 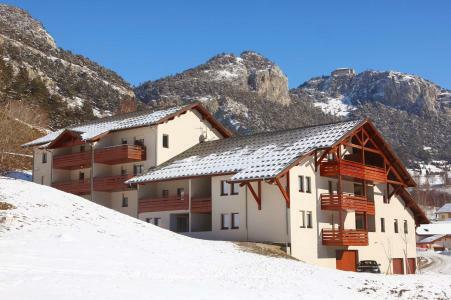 The Résidence Les Arolles is situated in the ski resort of La Norma. It is surrounding of a forest. The residence is at 100m from the gondola and at around 250m from shops. You can join the center of the resort by a pedestrian way along ski slopes. You can park your car next to the residence. THIS SUMMER - BOOK 2 CONSECUTIVE WEEKS, THE CHEAPEST ONE IS FREE: only on apartments AR29B, AR13B, AR24B and AR16B. Les Balcons d'Anaïs, La Norma, Alps, France comprise of 3 mountain chalets with wooden façade and balconies. The residence is situated at the foot of the cable car and ski lifts and is only 100m away from the shops and the resort centre. Additionally it offers a snow kindergarten outside at the front of it. 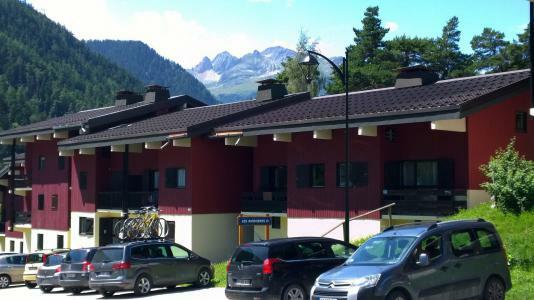 Facilities in the accommodation, in La Norma, Alps, France include: reception, lounge, lift, phone box, laundrette, ski locker, bread delivery service (to order). Also available from saturday (7.30am to 8.00pm) are changing room and luggage room. A sanitary block with shower and toilet (men/women) is open to the skiers who even without having checked into their accommodation can start enjoying the snow. Les Avenières, is a 2 to 3-floor building, mainly made of wood. It has about 50 apartments.Shops, resort center and slopes are about 250 meters away. You'll find a free outdoor carpark in front of the residence. You'll enjoy the many hiking possibilities nearby the Norma resort. The residence Le Village is composed of 20 apartments on one level. It is located above shops in the resort center of La Norma. The residence is situated 50 m away from the cable car. A free indoor car park is 150 m from the residence. THIS SUMMER - BOOK 2 CONSECUTIVE WEEKS, THE CHEAPEST ONE IS FREE: only on 2 room apartment 4 people (VI92V). Les Portes de la Vanoise is a large wooden residence made of about 100 apartments on 6 levels with 3 entrances. The residence is equiped with a lift. Shops, tourist office and slopes are to be found about 100 meters away. Free outdoor parking places in front of the residence. THIS SUMMER - BOOK 2 CONSECUTIVE WEEKS, THE CHEAPEST ONE IS FREE: only on accommodation SB100C, SB417A, SB507A, SB509A, SB202C, SB402C, SB316A, SB102C and SB504B. 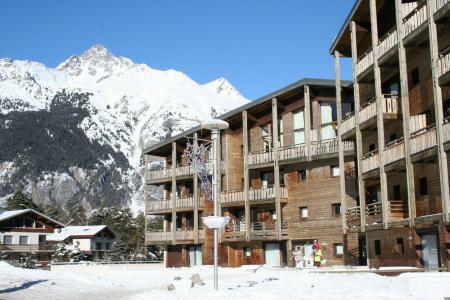 The residence Le Grand Vallon is composed of 20 apartments on 4 levels. 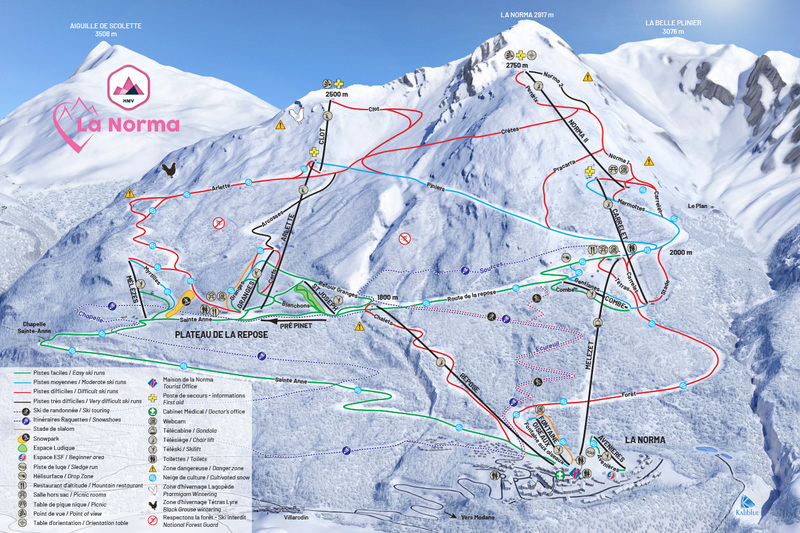 Situated at the entrance of La Norma resort, it is 350 m away from shops and the departure of the gondola. A Free outside car park is available in front of the residence. 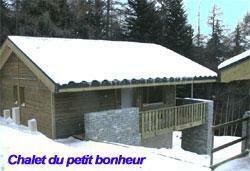 Les Chalets du Petit Bonheur are big individual chalets or 1/2 chalets next to the forest in La Norma. 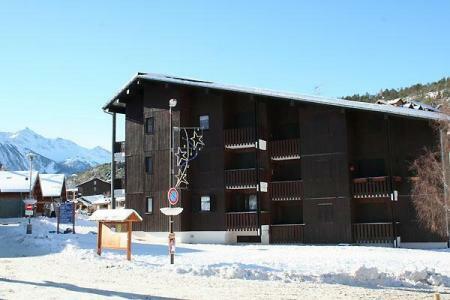 There are situated 500 m from shops and the departure of the gondola. THIS SUMMER - BOOK 2 CONSECUTIVE WEEKS, THE CHEAPEST ONE IS FREE: only for chalet CHT91.